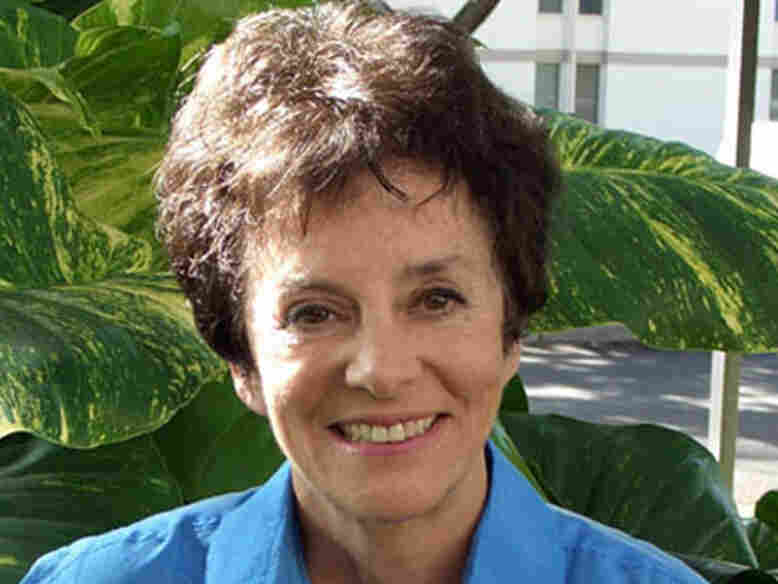 Social historian Stephanie Coontz 'Stirs' Up 'The Feminine Mystique' 47 Years Later On Fresh Air, social historian Stephanie Coontz explains how the publication of Betty Friedan's The Feminine Mystique in 1963 helped women view themselves differently. 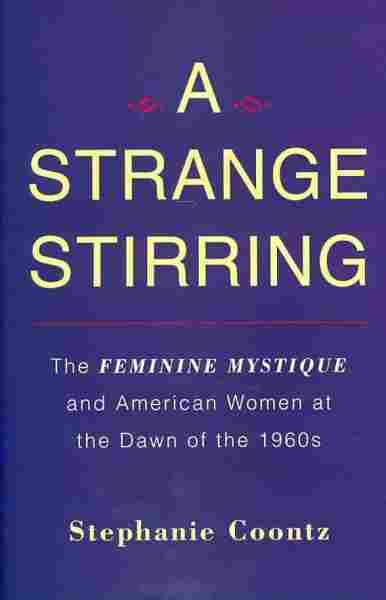 But Coontz, author of A Strange Stirring, also critiques many aspects of Friedan's pioneering book, including its omission of minority women. 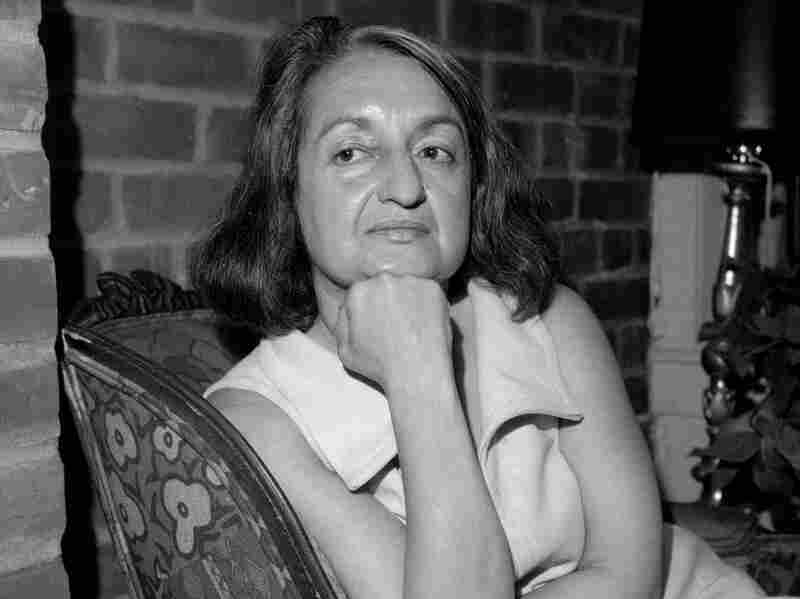 Betty Friedan, the late author of The Feminine Mystique, is shown in her New York apartment May 25, 1970. In Betty Friedan's obituary, The New York Times described the publication of her 1963 book The Feminine Mystique as a pioneering moment in American history. "It ignited the contemporary women's movement in 1963 and as a result permanently transformed the social fabric of the United States and countries around the world," wrote Margalit Fox. "With its impassioned yet clear-eyed analysis of the issues that affected women's lives in the decades after World War II — including enforced domesticity, limited career prospects and, as chronicled in later editions, the campaign for legalized abortion, The Feminine Mystique is widely regarded as one of the most influential nonfiction books of the 20th century." Though it initially sold more than 3 million copies, the book had never reached the shelf of social historian Stephanie Coontz. It was only after an editor suggested that she write about The Feminine Mystique that Coontz, the author of several popular books about marriage and family, realized she had never picked up the book that made American housewives realize they could "grow and fulfill their potentialities as human beings." "But I'd heard a lot about it, not only from the conversation that was going on — it was a very provocative best-seller in 1963 and 1964 — but also even before that from my own mother," Coontz tells Fresh Air's Terry Gross. "She had read it and adored it. And somehow ideas from it had seeped into me." But Coontz says she didn't fully appreciate the book until she interviewed almost 200 women and men who had read The Feminine Mystique when it was first published. 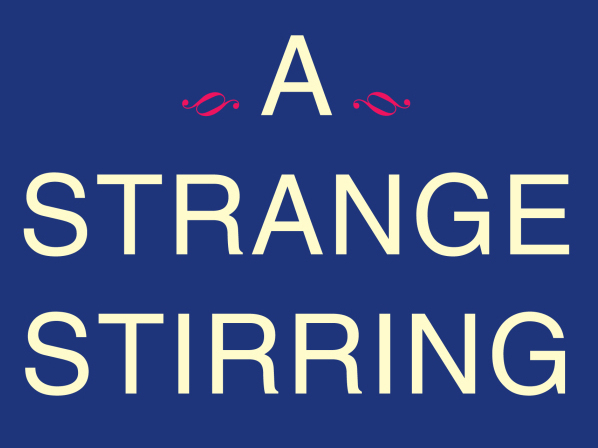 Her resulting social history, A Strange Stirring, takes its name from the very first paragraph of Friedan's text, in which Friedan famously describes a "strange stirring, a sense of dissatisfaction, a yearning" in American housewives' minds. Though Coontz says A Feminine Mystique is now dated and narrow in scope, she praises the text's importance for the generation of women coming of age in the 1960s. She explains that many of the women she interviewed still remembered exactly where they were and what they were doing when they encountered Friedan's groundbreaking text for the first time. Stephanie Coontz's other books include The Way We Never Were: American Families and the Nostalgia Trap and Marriage, A History: From Obedience to Intimacy, or How Love Conquered Marriage. "When they read that somehow they weren't alone [in feeling dissatisfied], it occasioned this release because [the book] said: It's not because you're ungrateful, it's not because you're unfeminine — the way the Freudian psychologists have been telling you — and it's not because there's something particularly wrong with your marriage or your children or anything else in your life — except that you're a real human being [and] you have a need for meaning in your life, not as an alternative to, but in addition to your personal life, your loves and your family," Coontz says. And, she says, doing the research for A Strange Stirring taught her how far women have come in the past few decades. "It's so easy to look around and complain," she says. "But when you actually see, not only how women were treated by society — their legal status — but how they thought of themselves, how low their self-esteem was at all income levels in all racial-ethnic groups, and compare to the self-confidence today that women have, it's stunning to see how much can be accomplished in just 47 years." Stephanie Coontz is the director of research and public education for the Council on Contemporary Families and a faculty member at The Evergreen State College in Olympia, Wash.
On December 22, 1962, one month before The Feminine Mystique hit the bookstores, the Saturday Evening Post published a cover article purporting to offer a portrait of the typical American woman. The opening page featured a photo of "Mrs. Charles Johnson," surrounded by her husband and children. "I just want to take care of Charlie and the children," the caption explained, summing up what the reader soon learned was the collective attitude of "American women, in toto." a society that is not geared for them." The article's aim was to portray how "most" American women lived and thought. As depicted in the Post article, the typical American woman—the one for whom American society was "geared"—was thirty-five years old, had two children (but was hoping for a third), and was a full-time homemaker. She had completed slightly more than three years of high school and had been happily married for fourteen years. And unstated though this was, she was white. These demographic details meant that the woman they were describing had been born in 1927, just seven years after women won the vote. As a young child, she would have experienced the Great Depression and almost certainly been aware of the tensions in the household as her parents struggled to get by. She had lived through World War II in her teen years, married a few years after the war's end, and was now taking care of her husband and raising children. But of course the Post survey included many slightly older women who had married before or during World War II as well as some who had started their families more recently. Other publications and commentators, the Post editors wrote in the teaser for the article, had variously described American housewives "as lonely, bored, lazy, sexually inept, frigid, superficial, harried, militant, [and] overworked," but the truth was that they were doing fine. While 40 percent of housewives admitted they sometimes wondered whether they would have been better off as a single career woman, only 7 percent said they were "sorry they chose marriage over career." As one put it, "I'm my own boss. . . . My only deadline is when my husband comes home. I'm much more free than when I was single and working. A married woman has it made." Not surprisingly, given the contrast between their experience as housewives in the newly prosperous 1950s and their still vivid memories of the hardships of the Depression and World War II, three out of four women felt that they got more "fun out of life" than their parents. Almost 90 percent of the married women said that homemaking tasks were easier for them than they'd been for their mothers, and 60 percent believed that their marriages were happier than those of their parents. The typical housewife, the Post reported, spent several hours each day cleaning house and taking care of children, but also had time for telephone chats, personal visits, and hobbies such as sewing, reading, or gardening. In fact, observed Gallup, "few people are as happy as a housewife." American housewives are content, asserted Gallup, because they "know precisely why they're here on earth." Unlike men, women do not need to "search for a meaning in life. . . . Practically every one of the 1813 married women in this survey said that the chief purpose of her life was to be either a good mother or a good wife." The housewives expressed deep satisfaction about motherhood and often described childbirth as the high point of their lives. But, the pollster observed, "it takes more than motherhood to make a woman completely happy; it also takes a man." And not just any man. He "must be the leader; he cannot be subservient to the female." Women "repeatedly" told the interviewers that "the man should be number one." One woman who had worked at a paid job for ten years before quitting to get married commented that "a woman needs a masterslave relationship whether it's husband and wife or boss-secretary." Another explained that "being subordinate to men is a part of being feminine." A third wife declared that what made her "feel equal" was that she always put her husband first and spent her spare time broadening her interests "so I won't bore" him. One (unmarried) female newspaper reporter did comment that "a woman need not feel inferior while she makes her husband feel superior." But what strikes the modern reader is the degree to which both the women and the pollsters took it for granted that a wife should defer to her husband. Gallup even noted that the task of interviewing so many women had been challenging because some husbands wouldn't allow their wives to participate. One husband "was so angry that his wife had 'talked to strangers' that he refused to speak to her for three days after her interview." Another remarked to the interviewers, "You talk to my wife as if you thought she knew what she was talking about." Yet neither Gallup nor the women portrayed in the article had any serious complaints about women's status in society. "Apparently," commented Gallup, "the American woman has all the rights she wants. . . . She's content to know that if she wants to do [other] things, she can; no one is telling her she can't, and she has made her choice—not business or politics, but marriage." Gallup found only two small imperfections in the lives of American housewives. One was what he described as the "rather plaintive" desire of wives for more praise from their husbands and children. One woman explained: "A man gets his satisfactions from his paycheck and from being asked advice by others. A woman's prestige comes from her husband's opinions of her." Still, women assured the pollsters that it wouldn't take much praise to make them happy because, all in all, they were "easily satisfied." "The female doesn't really expect a lot from life," explained one mother. "She's here as someone's keeper—her husband's or her children's." Gallup's second concern was about what these women, now so focused on marriage and motherhood, would do in "the empty years" after the children were grown. None of the respondents he interviewed mentioned this as a problem, but Gallup was troubled by their lack of forethought. "With early weddings and extended longevity, marriage is now a part-time career for women, and unless they prepare themselves for the freer years, this period will be a loss. American society will hardly accept millions of ladies of leisure—or female drones—in their 40s." For the time being, however, his report concluded, "the typical American female" is "serene, secure and happy." She loves being a woman and is "well satisfied" with her achievements in life. How odd, then, that just a month later, two of the most influential women's magazines in the country would feature excerpts from a forthcoming book claiming that millions of housewives were in fact desperately unhappy. 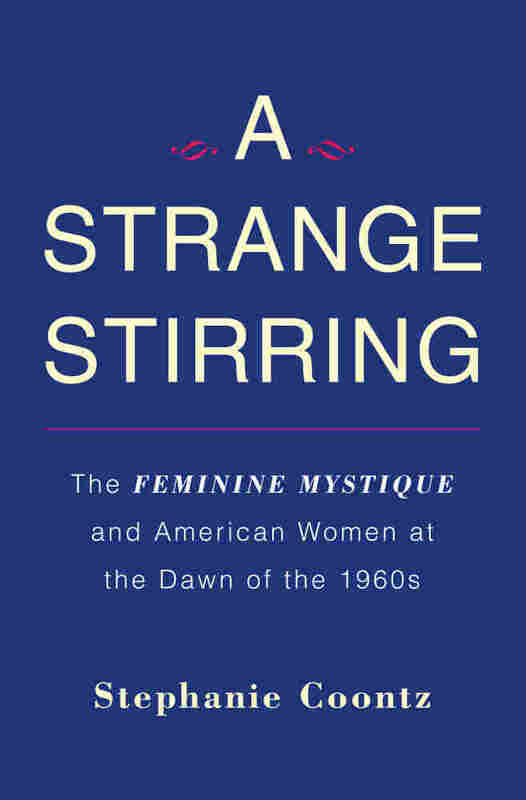 Excerpted from A Strange Stirring: The Feminine Mystique and American Women at the Dawn of the 1960s, by Stephanie Coontz. Available from Basic Books, a member of The Perseus Books Group. Copyright 2011.